I had the great pleasure of delivering the closing keynote at Responsive Day Out 3: The Final Breakpoint. Held in Brighton, UK, on 19 June 2015, the conference was a gathering of designers and developers sharing their workflow strategies, techniques, and experiences with responsive web design. Today has provided an amazing tour of the world of responsive design. We’ve seen how to level up our workflows and processes. We’ve learned new ways to improve the accessibility of our products. We’ve grappled with modern CSS and HTML capabilities that help us embrace the hugely variable display sizes that swirl and whirl around us. Trying to devise one monolithic experience for each and every person to have in every context that considers every factor would be impossible. And yet, Sir Tim Berners-Lee had a vision for a web that was capable of going anywhere. Was he insane? For a great many of us, ensuring our websites are accessible is an afterthought. We talk a good game when it comes to “user-centered” this or that, but often treat the word “accessibility” as a synonym for “screen reader”. It’s so much more than that. “Accessibility” is about people. People consume content and use interfaces in many different ways, some similar and some quite dissimilar to how we do it. Your browser supports HTML5 form controls? Great! You’ll get a better virtual keyboard when you go to type your email address. You can use CSS? Awesome, let me make that reading experience better for you. Oh, you can handle media queries! Let me adjust the layout so those line lengths are a little more comfortable. Wow, your browser supports Ajax?! Here, let me load in some teasers for related content you might find interesting. Imagine sitting down in a restaurant, only to have the waiter immediately bring you a steak. But you’re a vegetarian. You ask if they offer something you can eat and they politely reply: "Oh I’m sorry, meat is a requirement. Why don’t you just eat meat? It’s easy! You’re really missing out on some tasty food." No waiter who actually cares about your experience would do that. This twist is what John Harsanyi—an early game theorist—refers to as the “Veil of Ignorance”. What Rawls found, time and time again, was that individuals participating in the experiment would gravitate toward creating the most egalitarian societies. Designing a page that relies on hovering or accurate pointing only because any-hover or any-pointer indicate that an input mechanism with these capabilities is available, is likely to result in a poor experience. In the last few years, the computational power of our devices has increased as the hardware costs associated with supporting gaze tracking have dropped dramatically. Looking around, you can see gaze tracking beginning to move into the public sphere: Many smartphones and smartwatches can recognize when you are looking at them (or at least they do sometimes). This is only a short step away from knowing where on the screen you are looking. And nearly every high-end smartphone is now equipped with a front-facing camera, which makes them perfect candidates to provide this interaction method. Even though most gaze-tracking software mimics a mouse and has adjustable sensitivity, the accuracy of it as a pointer device is not fantastic. When I’ve used the Sesame Phone, for instance, I’ve had a hard time controlling the position of my head in order to hold the cursor still to hover and click a button. I’m sure this would improve with practice, but it’s safe to say that in a gaze interaction, larger, well‑spaced, and more easily targeted links and buttons would be a godsend. Most of us are familiar with Apple’s Siri, Google Now, and Microsoft’s Cortana. These digital assistants are great at retrieving information from select sources and doing other assistant-y things like calculating a tip and setting a reminder. As far as interacting with the web, however, they don’t… yet. We can engage with them, but they can‘t (necessarily) engage with a web page. But traditional computers and smart mobile devices aren’t the only place we’re starting to see voice-based experiences. We also have disembodied voices like Amazon’s Echo and the Ubi which are completely headless. Read Orde Saunders’s notes from my talk. Read Hidde de Vries’s recap of the day. 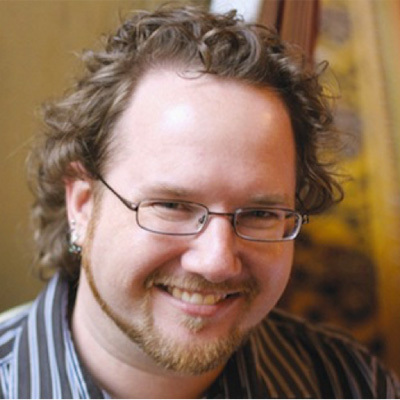 Aaron Gustafson is a web standards advocate at Microsoft, where he works closely with the browser team. He also helps organizations elegantly tackle the challenges presented by all the crazy devices and screens you see everywhere using progressive enhancement via Easy Designs and Rosenfeld Media. You’ll often find him on the road, presenting at conferences and running workshops across the globe.